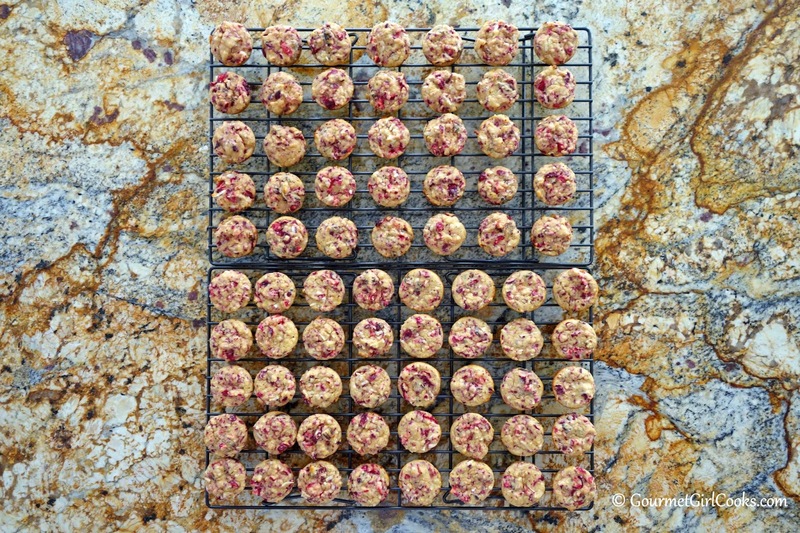 Yesterday morning I made a big batch of Cranberry Lemon Macaroon Mini Muffins. 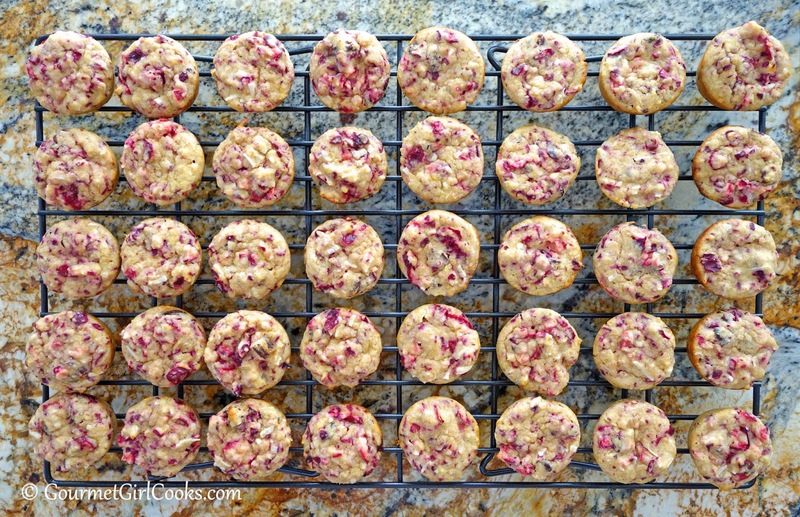 I had a big bowl of fresh cranberries that needed to be used and it had been a while since I've made these. These are one of my favorite cranberry muffin combinations. 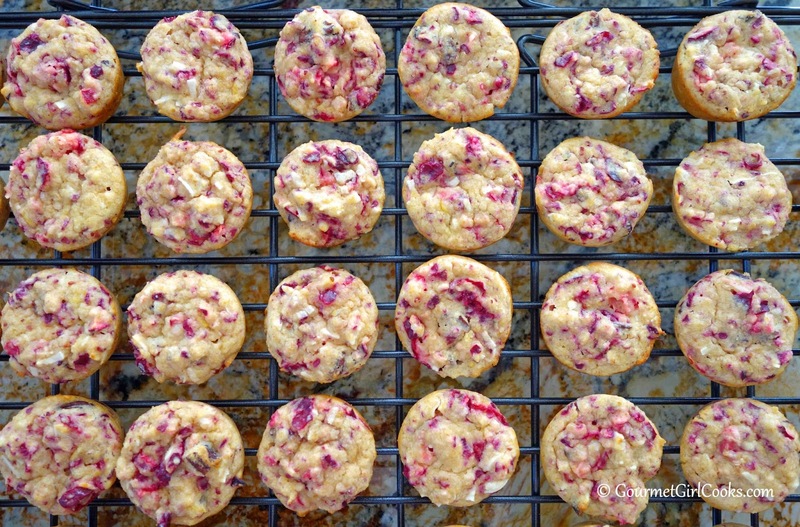 I love the crunch of the coconut (unsweetened) as well as the fresh taste of the lemon zest...and I absolutely love the tartness of fresh cranberries. It's like biting into a combination of muffin and macaroon. These muffins are lightly sweetened and make a perfect portable breakfast treat or snack. Just toss a few of these little guys in a baggie and you are good to go. I snapped a few photos for you to see below. The recipe for these little gems can be found here: Cranberry Lemon Macaroon Muffins. Enjoy! Oooooh. I have leftover cranberry sauce - and a half a bag of fresh berries. I am SO making this. Yum, thanks for sharing.